It’s never fun fumbling with cash at your first club ride of the year, or getting stuck in the crowds at the cyclocross races, So starting today you can sign your membership forms, and pay your fees online for Standard, Youth, and Family memberships. We use Stripe to safely and securely process our payments and never see or store your credit card number. 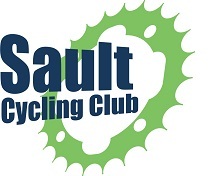 If you have any problems, questions or concerns, Send an email to info@saultcyclingclub.ca or send a message over Facebook.